PRICED TO SELL! CORNER LOT! 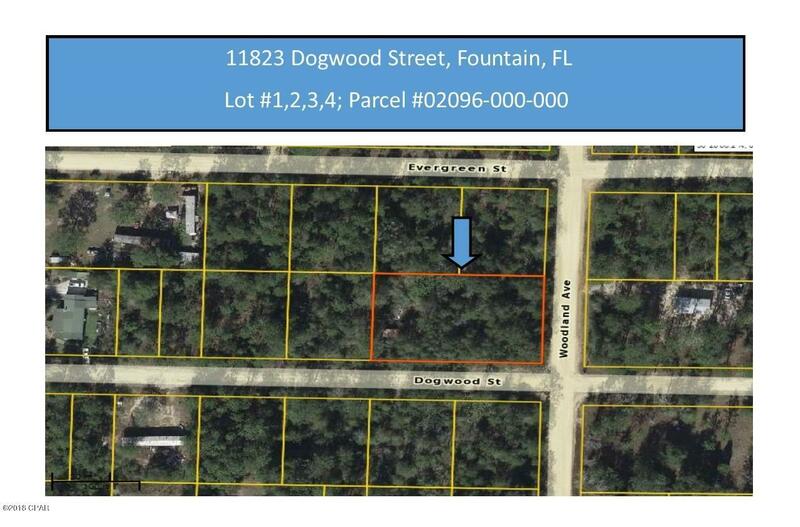 A great opportunity to purchase 4 building lots in Fountain. Centrally located between Panama City and I-10, these wooded lots are high and dry. Country living at it's finest. Minutes from great shopping, restaurants, beaches and international airport. Act now to take advantage of this great buy. Buyer should verify all information and measurements for accuracy.